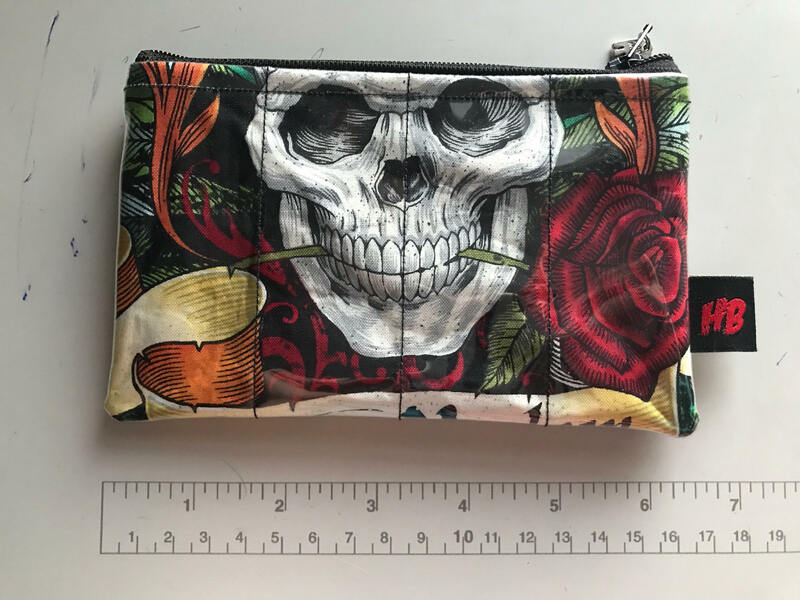 This zippered coin purse is big enough to function as a small wallet. 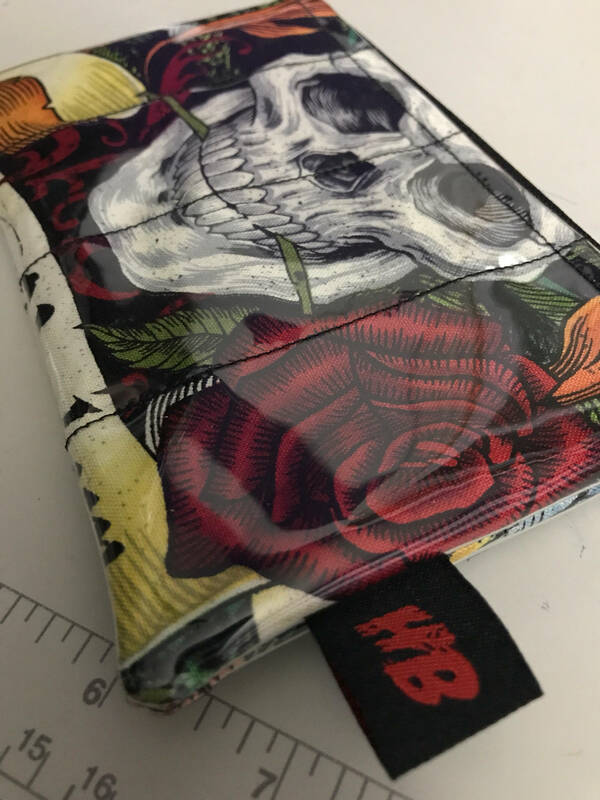 Keep your change, debit/credit and loyalty cards all handy in this great change purse made out of a cool fabric. Depending on the size of your phone you may be able to fit that in as well! 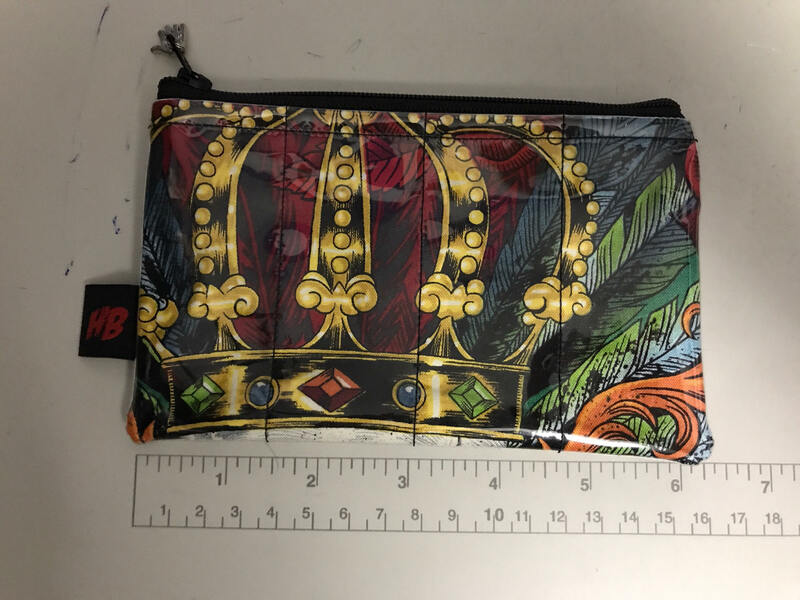 The outside features a clear vinyl coating which helps to keep the fabric protected and extend the life of this change purse. 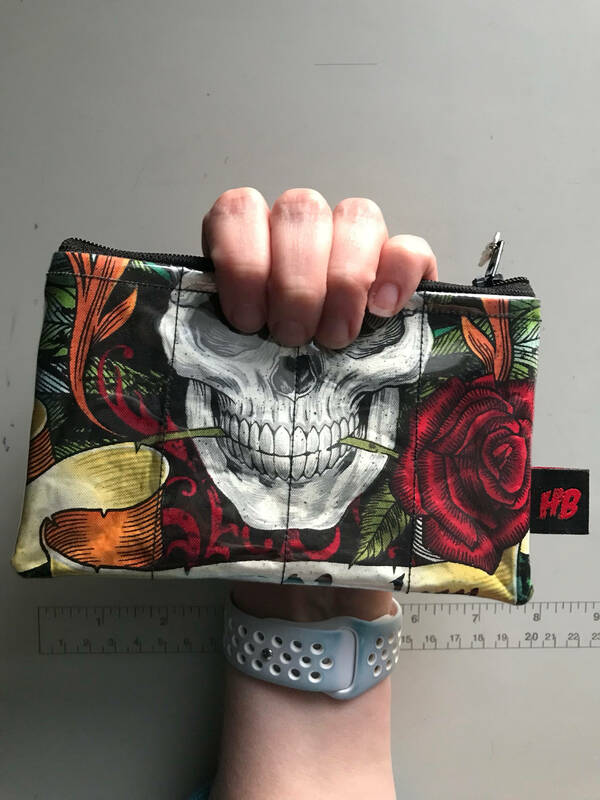 The change purse measures 6" long x 4" high and the zipper features a zipper pull to top it all off. When placing an order please know that I am a one-woman shop and handcraft every item myself as well as working another full-time job. I ship all my items via Canada Post and do my best to ship them within 3-5 business days, however this is approximate. If you will need an item by a particular date, then please be sure to leave me a message in the "NOTES TO SELLER" or contact me to make me aware. Thank you so much for ordering from The Honey Bagger! Please understand that I don't work for Canada Post, and I can not be held responsible for the actions of Canada Post or any post overseas. We all ship at our own risks. Once I mail the package, sadly I have no control over when it will be delivered. International orders - some areas will hold your package at the postal service if they could not catch you for delivery. I advise checking them quickly so they won't stamp it not claimed and send it back to me. I use the address listed directly from the Etsy order (not paypal). Orders returned have the option of being resent after return shipping costs are paid via a paypal money request. 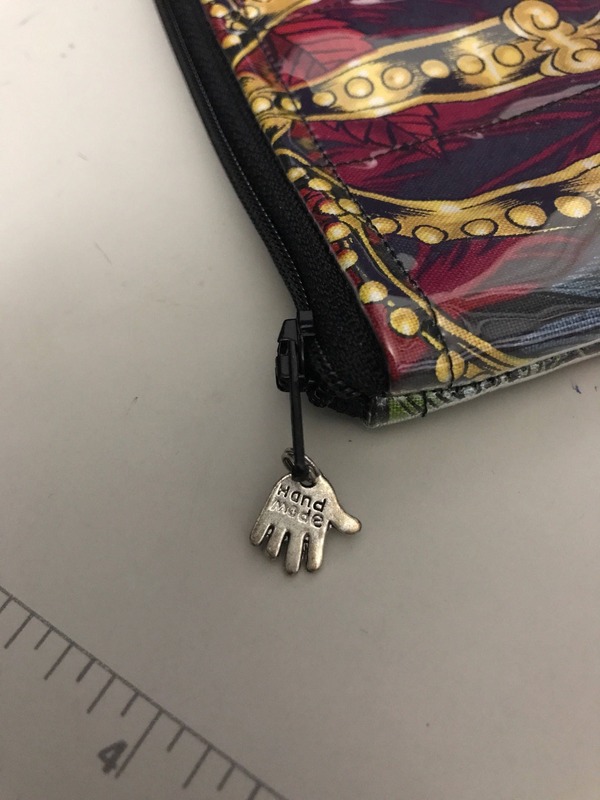 Refund can be issued for the purse cost only. If you are concerned about delivery to your address and would like to add additional insurance or sign upon delivery confirmation, please contact me and I will upgrade your shipping accordingly. 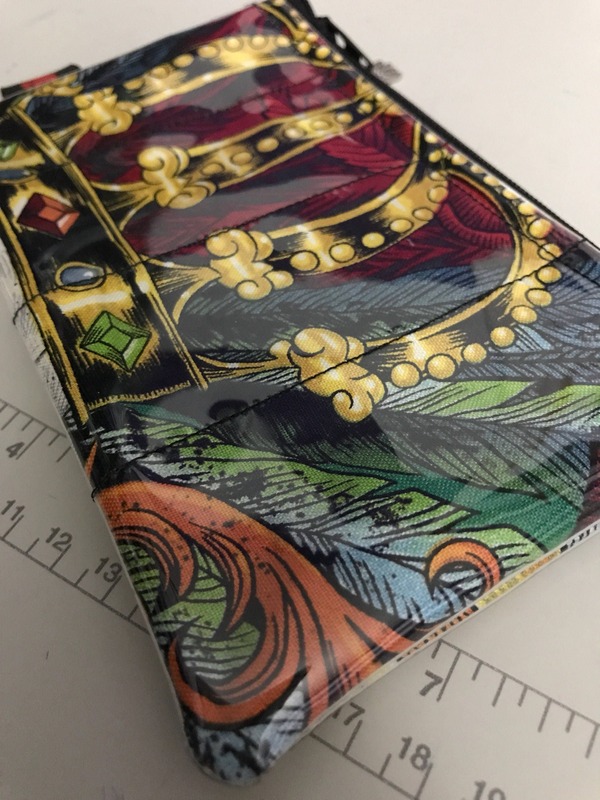 My aim is to make sure that every order is perfect and meets your expectations. If there are any issues with your order then please email me at thehoneybagger@rogers.com.